30" high x 22" wide. 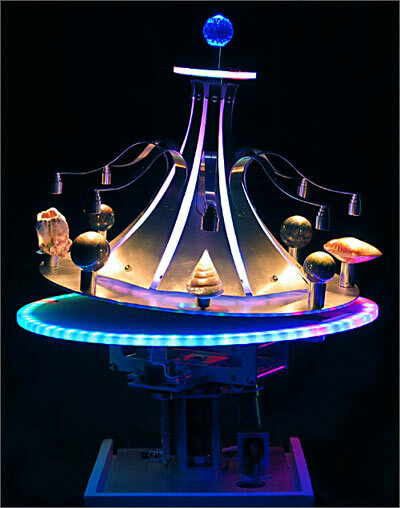 The Trabant is a kinetic sculpture which moves like a top, with a variable amount of wobble. It has 3 automated lamp dimming circuits and 3 automated motor systems.